Kintu, my first novel, is set in the historical events of 1750 Buganda Kingdom and later in 2004, in modern Uganda. Kintu is the story of Kintu and his descendants. In 1750 Kintu is a chief in Buganda Kingdom whose major problems are successive, unpredictable kings and, at home, his twin wives. Until he inadvertently kills Kalema, his adoptive son, while on a journey to the capital. When he fails to inform Ntwire, the lad’s biological father, his servant and a foreigner, Ntwire curses him and his descendants to live lives of suffering. In 2004, his descendants, who seem to suffer from mental illnesses, come together to try and break the curse. Through a family story, in Kintu I attempt to explore the historical political and economic turmoil of Uganda. I divided the novel into 6 sections. This allowed me to look a variety of Kintu’s descendants, not just to explore how the curse affects them, but to use their different perspectives to portray modern Uganda. The first book takes us back to 1750 Buganda Kingdom and follows the misfortunes of Kintu, the patriarch. This part allows me to showcase not only what Buganda looked like socially, culturally, politically but also the physical landscape two and half centuries ago, especially before colonisation. Then against this background, using four of Kintu’s descendants, I explore not only how Ntwire’s curse manifests itself in modern Uganda but also the social, cultural and political changes in modern Uganda. Inevitably, the book invites you to compare now to then. In the final book, I collect all Kintu’s descendants together – some of who are now Tanzanians because of colonial borders – to return to their roots, to try and undo the curse. Kintu, inspired by my father’s mental illness, came from the anxiety that his mental illness was hereditary. Jennifer Nansubuga Makumbi, a Ugandan novelist and short story writer, has a PhD from Lancaster University. Kintu won the Kwani? Manuscript Project in 2013 and was longlisted for the Etisalat Prize in 2014. Her first collection of stories, Manchester Happened, will be published by Oneworld in 2019. A story from the collection won the 2014 Commonwealth Short Story Prize. 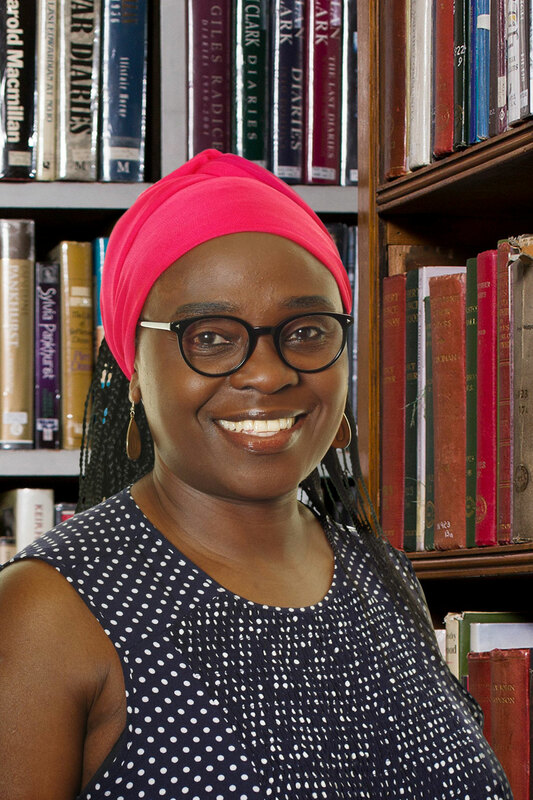 In 2018, Jennifer Nansubuga Makumbi was awarded the prestigious Windham-Campbell Prize for Fiction to support her writing. She lives in Manchester.